This Original Crown Mill Silver Line Correspondence Set in White & Fuchsia is perfect for sending short letters to friends and penpals. Founded in Brussels in 1870, Original Crown Mill has a proud history of providing top-notch writing paper. 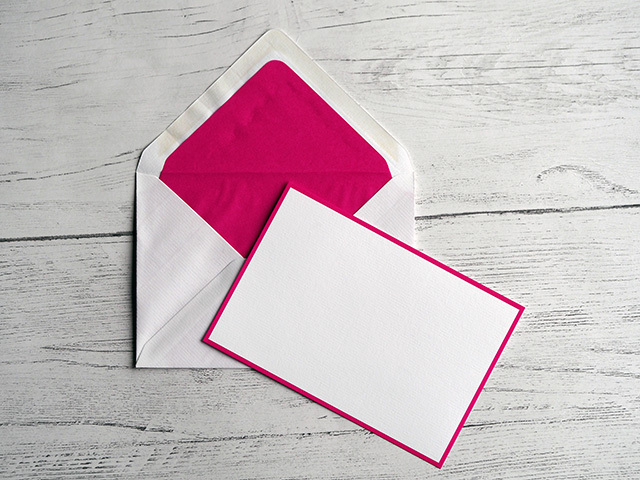 The correspondence cards are a high quality 280gsm A6 white laid card with a fuschia border. 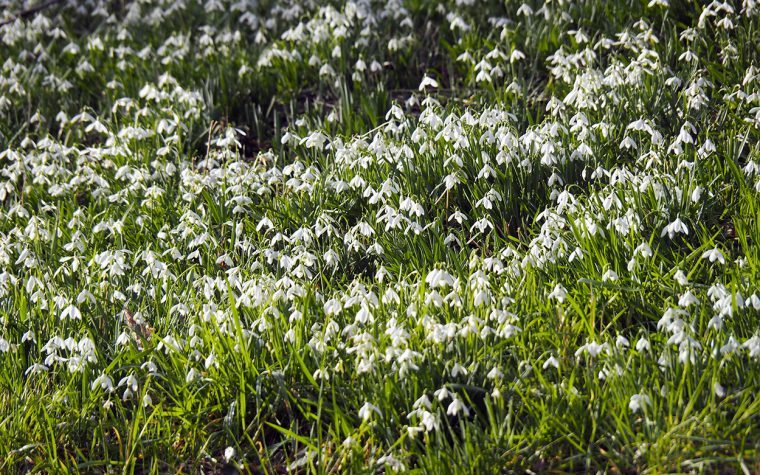 The paper has a lightly ribbed texture and takes fountain pen ink with ease. The envelopes are C6 in size and use matching white laid paper with a fuchsia lining. The box contains 25 correspondence cards and 25 matching envelopes. Original Crown Mill Silver Line Correspondence Set in White and Fuchsia written on using a TWSBI Eco with a 1.1 stub nib and Akkerman Simplisties Violet ink. This correspondence set definitely adds a touch of class to letters and it’s such a bonus that the paper copes very well with fountain pen ink as 99% of my correspondence is written with a fountain pen of some sort. I like to make sure my envelopes are sealed effectively, so I usually apply some decorative washi tape. 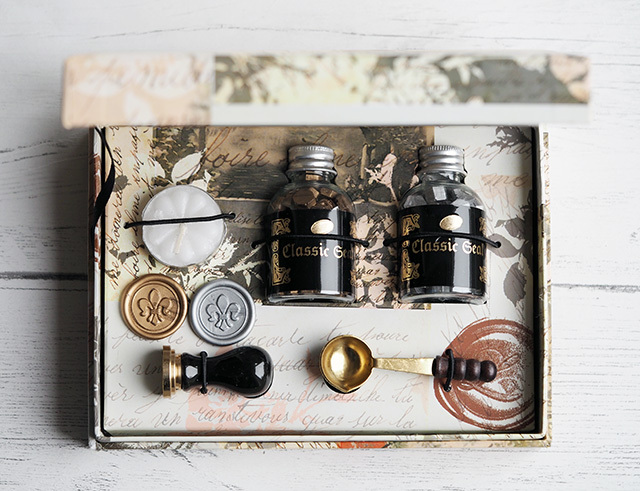 However, the Original Crown Mill Silver Line Correspondence Set deserves something a little more upmarket and the Calligraphy Wax Bead Set gives me a wonderful way to ensure my letters are sealed… a decorative wax seal! This set contains seal, a seal spoon, 2 jars of sealing wax beads (in gold and silver) and a candle. It’s simple to use but fun! Pop some wax beads in the spoon (I used 3 beads). Hold the spoon over the flame until the wax has melted. Pour the melted wax into a pool on the envelope. Put the seal into the pool of wax and wait a few seconds (I count to 10). You get one seal in this kit, but other seals (with all kinds of images, logos and initials) and seal waxes are available. I definitely intend on buying more seals and some different colours of seal wax soon. Seal wax is also available in sticks, but I prefer these wax beads as I know exactly how much to use. 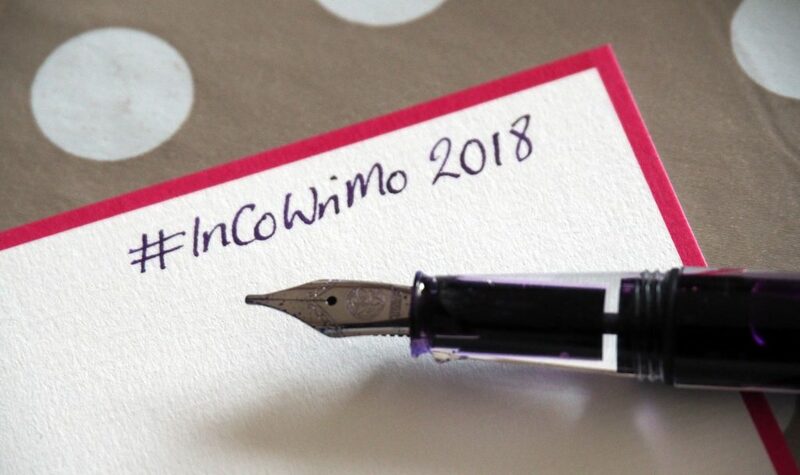 I hope everyone who is taking part in InCoWriMo 2018 is having fun. I certainly am, although I’m slightly behind on my correspondence. Please note: The above sets were supplied by Executive Pens Direct in return for an honest review. Tagged correspondence, correspondence set, incowrimo, letters, original crown mill, wax seals. That calligraphy set is stunning! 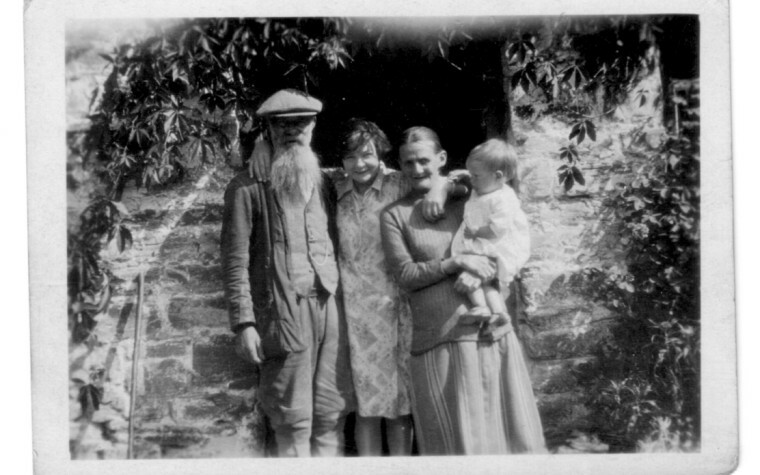 I’ve thought about you several times this month, wondering how your correspondence was going. I love your wax/seal set! I use to use wax on my envelopes quite often. I bet I still have some sticks (I’ve never seen anything like your bead set before) somewhere, along with my seals. Thanks for the reminder – I’ll have to look for them! 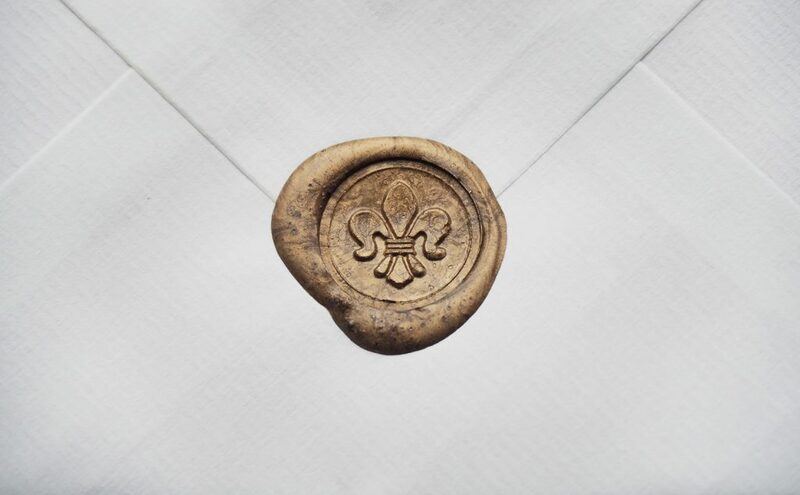 I’m so intrigued by wax seals and calligraphy, it makes receiving a letter so special! Your first attempt was really good too Nikki! I think the correspondence set is beautiful, I do love nice stationery, and the wax seal is so much fun. I think I may have to look into getting one of those sets. I love that calligraphy set. It must have been fun to use. The stationary looks delightful. 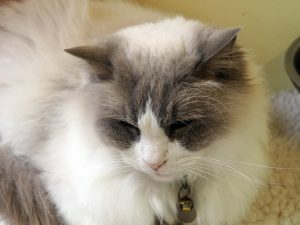 It is a long time since a sent a written letter. That calligraphy set is wonderful! I love the way a wax seal on a letter makes it feel really important! Though I don’t think my handwriting is nice enough to justify such beautiful stationary!